Is anyone else as royal-obsessed as I am? I'm pretty sure I've mentioned this before on here, but I absolutely love seeing what the Duchesses are wearing on their various trips and engagements. Kate Middleton's style is just so classy and chic, it's hard NOT to get inspired by her outfits. This past weekend, she was spotted at Easter service wearing the prettiest pastel blue. What do we think? If you've been following me for a while, you know I love a good deal. 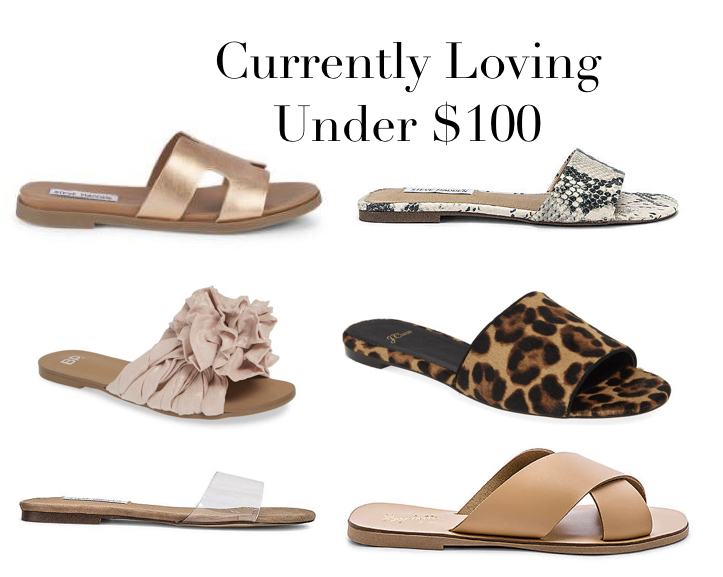 And now that the weather is finally warming up (yes, even in LA we had an unusually chilly and gloomy winter) I couldn't help but share some cute and versatile sandals I recently came across -- all currently under $100! And do you see a theme here (other than the amazing prices)? I'm just a sucker for neutrals, what can I say! Steve Madden Dariella Sandals - Rose gold + metallic = swoon! These sandals are simple with just the right amount of sparkle, making them perfect to pair with denim shorts or a cute sundress. BP Ruby Slide Sandal - I have to admit, this isn't a style I'd normally gravitate towards but something about the frill and the pretty blush color just drew me in. These are so girly and fun! Steve Madden Bev Slide (Clear) - Is it cheating if I include the same sandals in two different colors? I find these slides to be so chic, and the clear strap really elongates the legs. Steve Madden Bev Slide (Snake) - I don't think I have to tell you that snake print is everywhere right now. These would look so good paired with a basic white tee and skinny jeans. Seychelles Total Relaxation Sandal - Such an easy style to throw on, these would go with just about anything in your wardrobe. I'm thinking we should make this a recurring series on here, focusing on different themes or items each time. What do you think? It's no secret that this is my absolute favorite time of the year. I loveee Fall -- the gorgeous leaves, the sweaters (or maybe just the thought of them if you live here in LA), everything Halloween, snuggling up with some apple cider + a cozy blanket to watch Hocus Pocus, getting together with family for Thanksgiving, the list goes on and on. This is also about the time that I start decorating for Christmas and turning up the holiday music. I thought it would be fun to do something slightly different today and share some home decor content, which is something I've been really into since we bought our first home last year. And because I love holiday decorations, I decided to round up some of my favorite pieces to give you a little inspiration. And as always, this round-up includes tons of good deals! What are some of your favorite holiday pieces? I know, I know - it's been a while. But as many of you know, I'm a huge online shopper and really can't help but share when I find a good sale. So here's another round-up with some really amazing deals. I'm so obsessed with that plaid coat, I think I need to snag it before it sells out... and I may already own those camo pants. 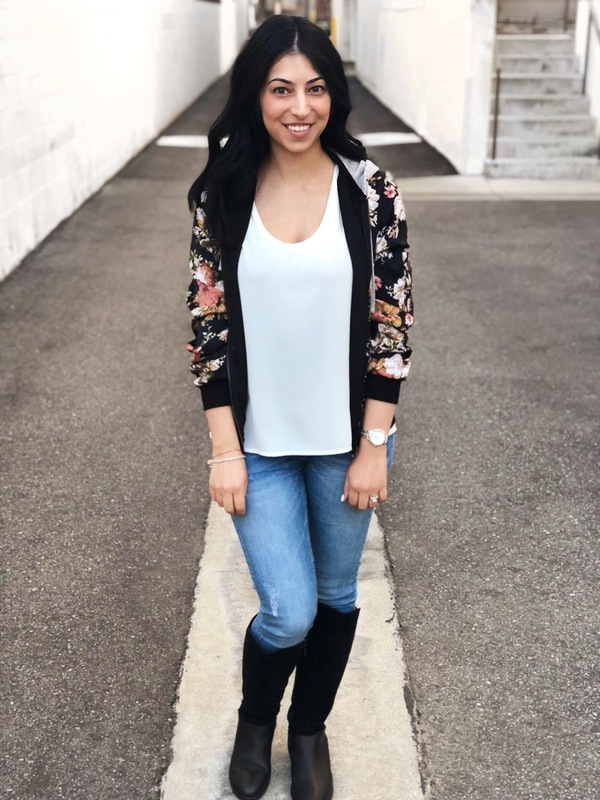 So, so cute and versatile!